A dedicated thermal-vacuum cycling test was conducted to qualify the ACKTAR Magic Black™ coating stability in the light of its use in the challenging environmental conditions involving the METIS instrument. 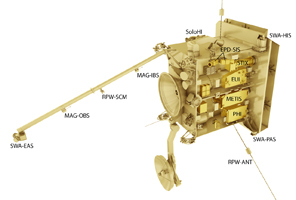 As one of the six SolO solar remote-sensing instruments (see fig. 2), the Multi Element Telescope for Imaging and Spectroscopy (METIS) is proposed by an international scientific consortium led by Istituto Nazionale di Astrofisica (INAF, Astronomical Observatory of Turin), funded by the Italian Space Agency (ASI) and under development and implementation by the Italian consortium ATI composed by Compagnia Generale per lo Spazio (CGS) and Thales Alenia Space – Italia (TAS-I). METIS is a coronagraph that it will perform simultaneously broad-band imaging in visible light and narrow-band imaging in UV of the Sun corona with unprecedented spatial resolution the structure and dynamics of the full corona in the range from 1.4 to 3.0 (from 1.7 to 4.1) solar radii from Sun centre, at minimum (maximum) perihelion during the nominal mission(1) (a CAD view of METIS is shown in figs 3-4). The surfaces of several titanium alloy (Ti-6Al-4V) components of the METIS Optical Unit (MOU) shall have a very low reflectance in order to minimize the straylight; so the application of ACKTAR Magic Black™ coating was foreseen. 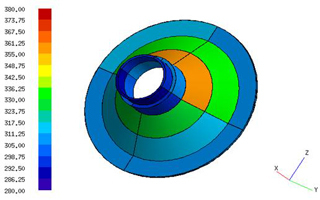 An example is represented by the METIS Shield Entrance Aperture (SEA), as shown in figure 4. 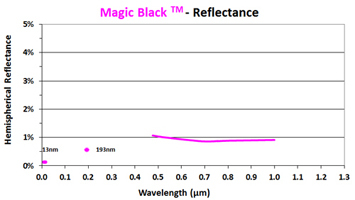 Magic BlackTM is the coating of choice where the absolute lowest reflectance / highest emissivity is required in the FUV – UV ,VIS up to SWIR regions – typically for stray-light suppression. In addition to its superior optical performance (see Figs 5-7). Magic BlackTM was thoroughly tested and qualified for thermal cycling, thermal vacuum cycling, cryogenic temperature performance, outgassing, space atomic oxygen and reflectance after environmental exposure. 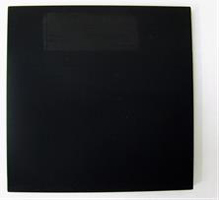 Magic BlackTM delivers many other attributes important in space applications as it has essentially zero outgassing, it is vacuum and thermal-vacuum cycling compatible, suitable for operating temperatures from -269°C to +350°C, has no particulation, it is only a few microns thick and compatible with virtually all substrate materials. Earth Video Camera and more. 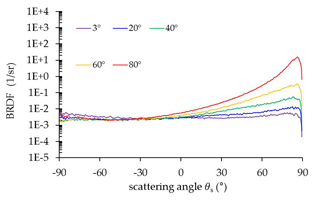 The METIS Inverted External Occulter (IEO, figure 8) is the front part of the instrument: its surface will be exposed to the solar flux so experiencing very challenging environmental conditions: 380° C was considered as maximum qualification temperature by dedicated thermal analysis conducted by CGS and TAS-I (figure 9). Acktar’s Magic Black™ was previously required to be qualified for 350°C as maximum temperature. A dedicated thermal-vacuum cycling test was planned by CGS, TAS-I and ACKTAR on several titanium coated samples (Fig. 10) to qualify the Magic Black™ coating stability up to 380°C. at the end (after 100 cycles), on a second set of samples, in order to identify a possible settlement on the investigated physical properties during the cycling test. no visible defects shall be observed. 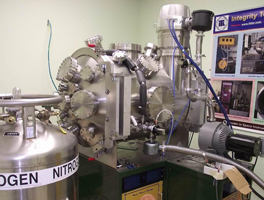 Thermal Vacuum cycling was conducted using a Test Facility (ITL Inc.) comprising a stainless steel vacuum chamber accommodating a sample holder with a heating/cooling system (fig. 12). 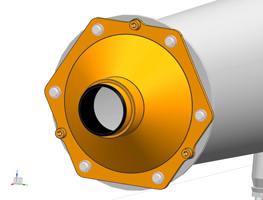 The vacuum pumping system consists of an oil-free mechanical scroll pump and a turbomolecular pump with 2,050 l/s pumping speed – capable of achieving the ultimate pressure of < 10-8 Torr. The test samples were placed on the surface of the sample holder plate. 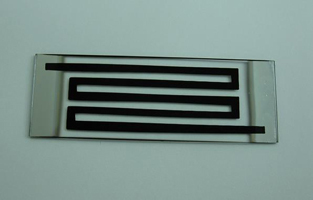 Acktar Magic black coatings deposited on Ti6Al4V substrates fully meet the thermal-vacuum cycling qualification requirements for the METIS program as they relate to reflectance, absorptance, emittance, adherence, surface resistivity, and visual appearance. Moreover, due to a IEO hardware design modification, a further thermal-vacuum cycling test will be required to qualify the Acktar™ Magic Black coating up to +450°C. Further validation of thermo-optical test will be conducted soon on the overall METIS instrument (Thermal Model).